Because A (A) class amplifier operating point selection in the characteristic curve of the straight segment, so the nonlinear distortion is relatively small, even harmonic content is high, also the sound effect is very good, sound quality performance moist beautiful, sweet, Multi-string instrument "rhyme. But the efficiency is lower, the output power is smaller, to the speaker sensitivity request is higher. 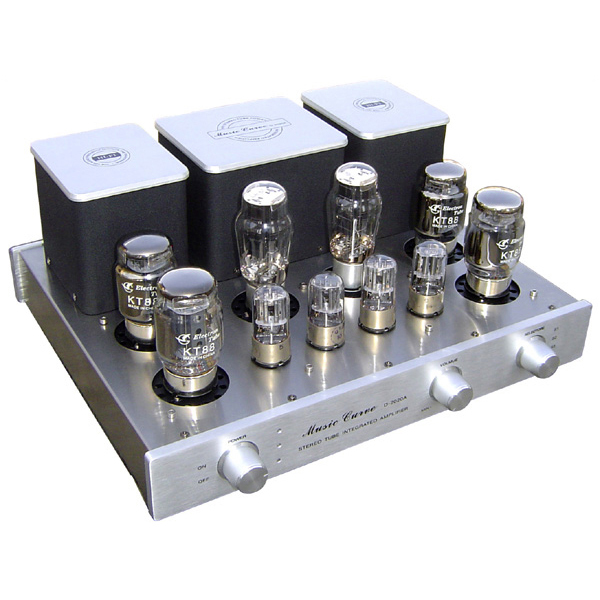 In order to solve the single-tube Class A output power is small, with the difficult problem, the power amplifier in parallel output, reducing the output impedance and enhance the driving force. The machine is made of ancient hand-scaffolding welding process. The first stage is amplified by pentode 6J4P (or 6J8P) for amplification. The voices of the pentode are gorgeous. The single-stage gain is high, and the transistor is connected to the transistor to amplify the distortion. The second level to promote the use of twin twin-tube 6N8P internal parallel drive, 6N8P maximum anode dissipation power up to 6W or so, lower parallel resistance, the driving force better. 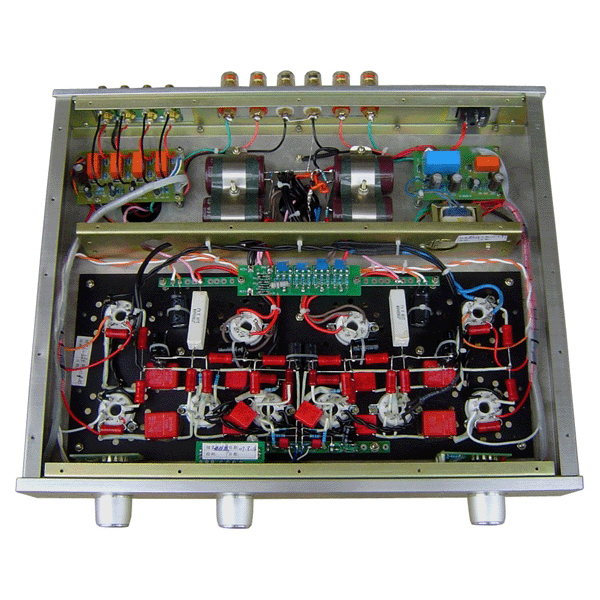 Rectifier rectifier with high current 5Z3P × 2 secondary rectification method, making the A large-scale amplification of the current supply through the better and more abundant. 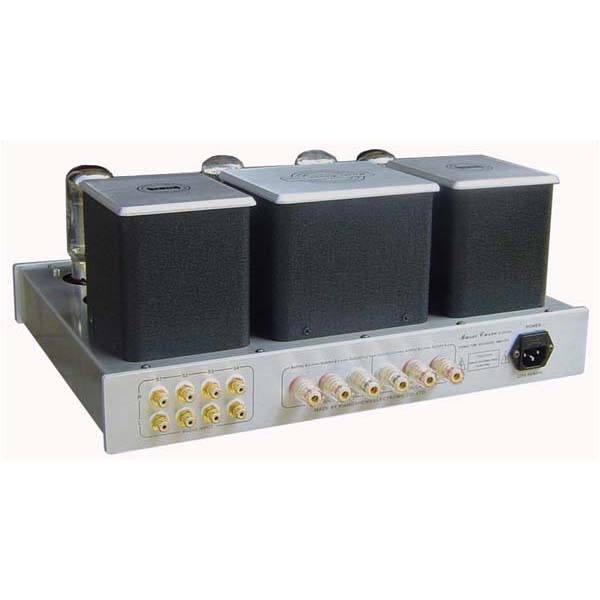 6J4P (or 6J8P) × 2 + 6N8P × 2 to do to promote the use of amplification. have transistors, standard form connection options. High-light metal knob, blue power indicator (with pre-heating delay instructions). 1.2mm brushed stainless steel cabinet. The use of high-level wrinkle paint cow cover. Output cattle using high-quality core sub-section of the wound system, power cattle is the same core, high purity oxygen-free copper wire production. Japanese ALPS volume or Taiwan W.L potentiometer. Germany Weimar WIMA red MKP capacitive coupling. High-grade gold-plated RCA signal terminals, sturdy gold-plated 4-ohm, 8-ohm output terminals (now replaced by oxidation-resistant high-grade amber gold-plated terminal). Teflon silver-plated shielded signal cable. 4 high-quality large reservoirs filter. Use three plug power outlet, easy to replace the fever power cord.